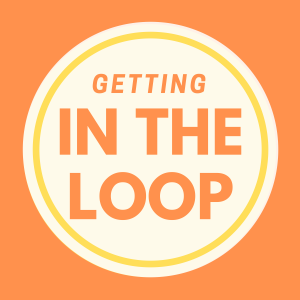 Welcome to Getting In the Loop – a podcast dedicated to exploring how to transform to a more circular society that recognises our planet’s limited resources. Circular economy is often presented as a solution to our planet’s limited resources. But is it all it's promised to be, and what does it mean in practice? Join host Katie Whalen as she examines the challenges facing our current resource use and discovers alternatives to the ‘take, make, dispose’ way of doing things. Through interviews with experts, we'll uncover what's being done to keep our resources in a loop rather than sent to waste. Katie is a PhD candidate at Lund University where she researches circular business models and developer of In the Loop®, a serious game that makes it fun and engaging to learn about why we need a more circular economy.